Press freedom isnt free. And it isnt forever, unless we make it so. Pledge Your Support Now! Pledge your planned gift in your will! It's easy, and we can help. Contact Fundraising Coordinator Larry Messing to find out more about remembering the Forever Fund in your will to ensure press freedom for generations to come! It isnt getting any easier to fight for press freedom. Its getting worse. Government officials threaten journalists with libel suits, SLAPP suits and subpoenas. Public information officers manage the message, and officials are increasingly gaming freedom of information laws to increase secrecy at all levels of government. Meanwhile, we have fewer and fewer sustainable resources to litigate and advocate for press freedom. The Forever Fund is a sustained war chest to guarantee someone is always fighting for press freedom. If we dont do it, who will? 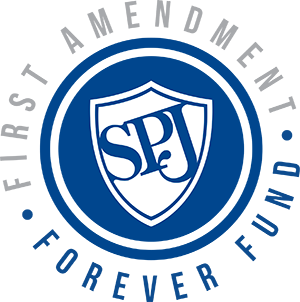 Since 1972, SPJ's Legal Defense Fund has awarded thousands of dollars to journalists embroiled in disputes over public records, open meetings and the First Amendment. The LDF continues to be a crucial tool for journalists. However, the LDF is sustained annually by contributions, and it can be depleted, and has happened in the past. The Forever Fund is a permanently endowed account that will always provide a press-freedom war chest, long after we are gone. If you cant give money now, designate a percentage of your estate in your will toward the fund. We dont need it when we are dead, but future journalists will!  Trips by press freedom advocates to lobby Congress on FOIA, the shield law, FERPA, or any number of federal issues.  Grants for other journalism organizations to advocate. For example, the National Press Photographers Association is much better positioned than SPJ to fight for photographers rights.  Proactive litigation to establish better case law, and advocacy for better state freedom of information laws.  Travel expenses to give out Black Hole awards and initiate other parachute offenses.  Public education, such as PSAs, advertising, school curriculum development, and outreach. If the public doesnt support journalism, then the politicians certainly wont. Simply fill out the form. A committee will review the application and have the authority to approve up to $5,000. Larger requests would be considered by the SPJ Board of Directors. The corpus of about $200,000 generates about $10,000 per year in interest to be spent on projects.  Broad impact on preserving press freedom beyond just one individual or organization.  Long-term impact on preserving press freedom.  Increased public awareness, support and trust in an independent watchdog press.  Focused attention on the fund that could attract additional support, either direct financial contributions or in partnerships and collaborations. If you have questions before submitting your request, please email FirstForever@spj.org. The long game starts with you! Creating a huge endowed fund is not easy, and it takes time. But if we start now we might just see the benefits in our lifetime, and the effects will reverberate long after we are dead. Give now. Donations to the fund are not tax-deductible because SPJ is a 501(c)6 organization, but every dollar counts. Give online, by check, or set up auto-pay for monthly deductions. Legacy gift: Pledge all or a portion of your estate toward the fund in your will. It's easy, and we can help. Contact Fundraising Coordinator Larry Messing to find out more about remembering the Forever Fund in your will to ensure press freedom for generations to come! Press freedom isnt free. And it isnt forever, unless we make it so.